Cyber threats can literally render you helpless. And this is where Fortinet comes in to help you. Having the best IT infrastructure translates to you having a great online time. 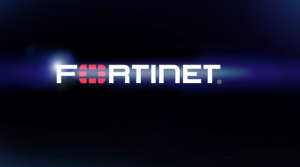 Founded in 2000 with its headquarters in Sunnyvale, California, Fortinet provides one of the best network security appliances in the world. Their services are rendered to carriers, distribution offices, enterprises, MSSPs, data centres and many others. Services provided by Fortinet not only secure your IT infrastructure but also simplify it. Some of the network security products provided include Fortinet Fortigate Firewall Platform and Advanced Threat Protection. Fortinet Fortigate Firewall Platform is a next generation security product from Fortinet that is suited to protect you from cyber threats no matter how sophisticated they may be. The network security appliances provided come in hardware form as well as virtualized form. These are all designed in such a way that it will suit careers, distributed offices, enterprises and data centres. What Advantages Come with Fortinet Fortigate Firewall? It presents you with an avenue where you get security that is end to end running across the entire IT infrastructure. Fortinet fortigate firewall platform has an operating system that is intuitive for all types of platforms as well as services. it has been specially suited for distributed deployments, cloud deployments, internal segmentation, data centres and perimeters. Thanks to fortinet fortigate firewall platform, you can now get all round visibility controls by use of single pane of glass interface. This network security product has actually been tested in the industry and approved to be effective for superior security. The recommendation was made by NSS. It has top notch performance and as such users can be guaranteed to have a network that is fast moving. This not only increases efficiency but also cuts down on operating expenses. Cloud utility has now become a household name. Fortinet Fortigate Firewall platform is cloud-ready multi-tenancy and also has quite a fast integration when incorporated with third party ecosystems. It has a high port density that ensures nothing short of maximum flexibility. The fortigate high end series (1000-5000) provides one of the best performing security and has ultra-low latency. The fortigate mid range series (100-900) provides superior performance. It has a high gigabit port density with security features that are consolidated for mid-sized enterprises. The fortigate entry level series (30 -90) is an all in one security appliance that can be used by distributed enterprises and SMBs. With Fortinate Fortigate Firewall platform, you can forget about cyber threats and have a smooth running IT infrastructure. No matter what kind of a user you are, you will certainly get a product that meets your needs.